To begin my series of author interviews, I’ve invited Cornerstone Press author Melissa Westemeier. I was fortunate enough to attend the release party for her novel Whipped, Not Beaten and get an early copy, which I thoroughly enjoyed. Whipped Not Beaten tells the story of Sadie Davis. Recently dumped and working for a boss she despises, she is determined to shake up her life as a single woman in the city of Madison, Wisconsin. She takes a side job as a home party consultant selling kitchenware, hoping that it will be the spice that turns her life around. Through failed recipes and cold ovens, Sadie works to create something that’s a bit sweeter, a lot richer, and oh, so very delicious. A: The main plotline is about how Sadie starts selling home party products. When I quit my teaching job and became a stay at home mom, my social life became nonexistent. The only time I had a night out was when I got invited to a home party―and naturally I accepted every invitation. After attending several―Partylite Candles, Tupperware, Tastefully Simple, Mary Kay, Creative Memories, Pampered Chef―it struck me how a novel could appeal to women by poking fun at the entire set-up. I’d already written a couple of YA novels, and the idea of a romantic comedy, “chick lit” with home parties as the backdrop really appealed to me. Like I begin all my books, I just started writing and the plot and characters fleshed out as I kept at it. I chose Madison as the setting because all chick lit seems to take place in New York or Los Angeles. The Midwest gets almost no attention, unless someone’s writing about a rural setting. Also, I’m familiar with Madison, which made the book easier to write than if I had to research a different setting, like New York City. Q: Many readers think that the main characters in novels are like the authors themselves. Is there a lot of Sadie Davis in you? I think there’s a little of any woman my age in Sadie. As far as specific traits that we share, I do fantasize about George Clooney, battle the occasional blemish, and find my medicine cabinet terribly disorganized. When I was younger I had to learn to stand up for myself at work and I enjoyed the mentorship of some great older women. Really, the character most like anyone in real life is Sadie’s mom, who I based almost entirely on my Grandmother, Gloria Volkman. If I were to BE like any of my characters, I confess that I wish I were just like Sadie’s older sister, Jane. She lives my fantasy. 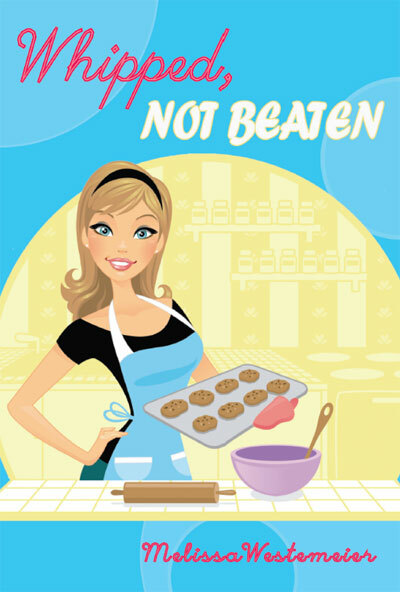 Q: Whipped, Not Beaten was your first published novel. Have you written other things? A: I co-wrote a chapter in Teaching Writing in High School and College (NCTE, 2002) and co-wrote Writing in a Changing World (Bridle Path Press, 2010). I’ve had some poetry and essays published, and like most writers, I have a drawer full of rejected or partially-developed manuscripts. Q: You’ve worked as both a teacher and as an editor. How have those jobs influenced your writing? A: After teaching high school English for almost 10 years, I really developed an eye for recognizing what makes a piece of writing strong or weak. I also developed the knowledge base to help writers tend to those issues. My writing group works well together because we all have teaching backgrounds, so instead of just getting together and pointing out what “doesn’t work” in each other’s manuscripts, we advise each other on how to make revisions, play to our individual strengths, and address the problems with suggestions. I think the best thing a writer can do for their own craft is to find other writers to work with―I really enjoy editing manuscripts for other authors and it’s a personal thrill when they get published, too. The only drawback is when I’m with my book club―I need to learn to turn off my “editor eyes” and approach some books with only my “reader eyes.” Writers read books differently than other people. Q: What can you tell me about working with the student-run publishing house Cornerstone Press? A: They were lovely and so professional. From the content editing to the marketing, every step of the way demonstrated the investment they made into my book. I loved getting 100% of their attention, which I know wouldn’t happen in a larger press, and they were so creative, too. A: Currently I’m working on 2 projects―final revisions on a nonfiction book I wrote with Jen Brecht, my co-founder over at Ecowomen.net. It’s a guidebook to making one’s lifestyle environmentally friendly by making one behavioral change a week over a whole year. Also, I’m bringing a revised version of my latest novel, Across the River to a writing workshop this summer. It’s the story of a small town on a river, loosely based on my bartending days during college when I lived in Fremont, Wisconsin. The main characters are the daughter of a dairy farmer who sees a different future for her family’s farm and a bait shop owner who has dreams of big development moving into the area. It’s funny, but with a more earthy humor than Whipped, Not Beaten, in part because most of the characters are men, and it takes place during the white bass run. Violin or piano? To listen to, right? Violin. Darcy or Heathcliff? Always, always Mr. Darcy. Love scene or death scene? Love scene. A great big thanks to Melissa for being the laboratory rat in my first interview experiment.